Steinberg Law Firm is offering you the opportunity to receive a scholarship to support your higher education. Five South Carolina graduating seniors who plan to attend a four year institution of higher learning in the fall will receive a $1,000 scholarship this year by submitting a creative essay that explains how you can play a role in the fight for equal justice under the law. Selection of scholarship winners will be based on school activities, special honors and awards, community involvement and most of all: your story. As one of the first Jewish attorneys in Charleston, Steinberg experienced discrimination and this inspired him to assist another disenfranchised group during that time — African Americans. An up-to-date high school transcript. A list of your school activities, special honors and awards, and community involvement. An essay that explains how you can play a role in the fight for equal justice under the law. Essays are limited to 700 words. Personal injury lawyers are often the first line of defense for injured people who lack the financial resources to go up against big corporate or institutional interests. Scholarship recipients will be announced at each school’s year end award ceremony. If a school does not have such a ceremony, the respective scholarship winner will be notified no later than June 4th. 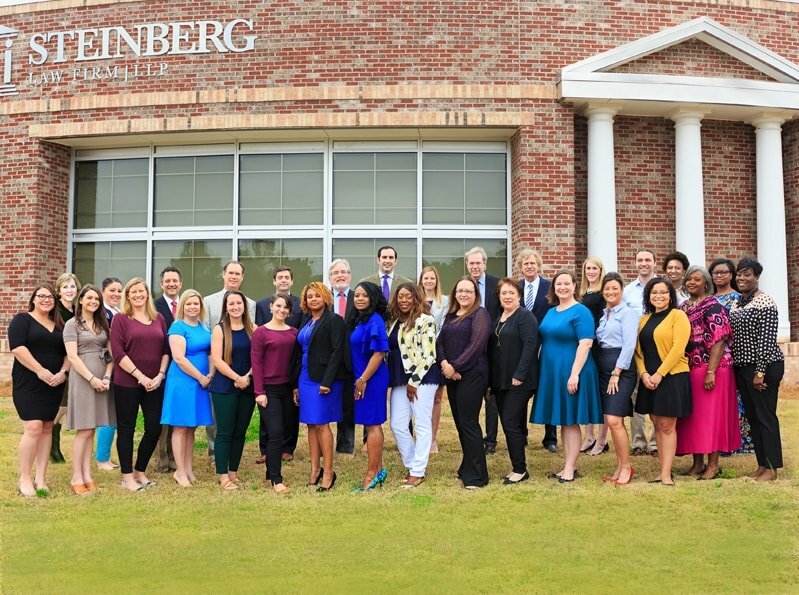 We are extremely excited to view all of the applications for the 2019 Steinberg Law Firm Scholarship. Best of luck! The Steinberg Law Firm invites you to join your community for a weekend of delicious hors-d’oeuvres, refreshments, dancing, and fundraising on behalf of the Dorchester Children’s Advocacy Center! Is Your Home Ready for Charleston's Hurricane Season? How Susceptible Are Nurses to Injuries While On The Job? Attorney Catherine Meehan Knows From Firsthand Experience. Quiz – What Steps Should You Take After a Wrongful Death? When you are seriously injured in an accident, you need an experienced attorney by your side to walk you through the process every step of the way to get maximum compensation for your injuries. Traveling During the Holidays: I was Hurt at a Resort/Hotel, Who is Responsible? What Is the Scariest Part of Halloween? There is Now a Biological Reason Why People Shouldn't Text and Drive. Quiz: Do You Know the Secrets to Driving in a Storm? Take our quiz to see if you have the know-how to handle driving in stormy weather. What Are My First Steps After a Workplace Accident? Not Registered to Vote? Steinberg wants to help! Quiz: What Preventable Injuries Are You Most At Risk For During Your Lifetime? What Medical Compensation Will I Receive If I Am Injured On the Job? Is My Car Accident Covered By Workers' Compensation? Do You Need a South Carolina Work Injury Attorney? Congratulations on 25 Years with the Firm, Susan Rienzo! Why Get a Lawyer for Workers' Compensation? Are South Carolina's School Buses Safe? Steinberg Law Firm Nominated for Charleston City Paper's "Best of Charleston"
What Type of Compensation is awarded in Accident Cases? A few tips to stay safe on the road during Memorial Day weekend. Steinberg Law Firm is proud to support the Goose Creek High School basketball team. Players took home these personalized banners after the season concluded. Will Unemployed Turn to Disability? Social Security Benefits Increase for 2014, Is It Enough? Should I Buy Additional Car Insurance? What is Under-Insurance (UIM) coverage? If I am in a wreck, may I use my health insurance to pay for medical treatment? Why do I Need a Lawyer for my Auto Accident? When should I report my on the job injury?